Compumatrix Bloggers Central Gallery Video viral Google's Small World Wonderland: Just Amazing! Over a million people visit the outlandish, high-tech and massive Miniatur Wunderland — the world's largest, tiniest-scale model railway exhibit — in Hamburg, Germany each year, but now you can do it all from the comfort of your own computer. 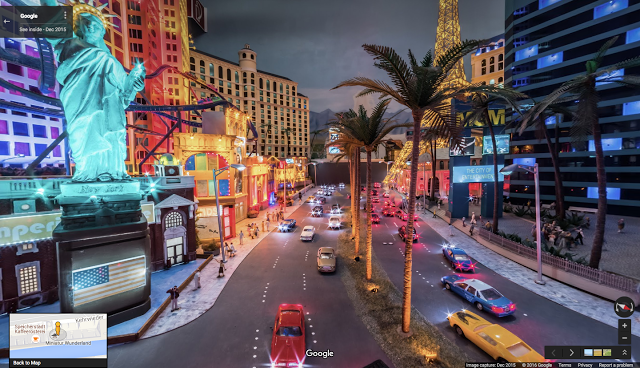 To see more of Miniatur Wunderland, including a miniature Street View car built to commemorate this joint project, explore Google's Street View gallery. As you navigate through this truly wonderful Wunderland, we think you’ll agree: when it comes to great views, size doesn’t matter! Now, enjoy this video on Youtube.